NO. 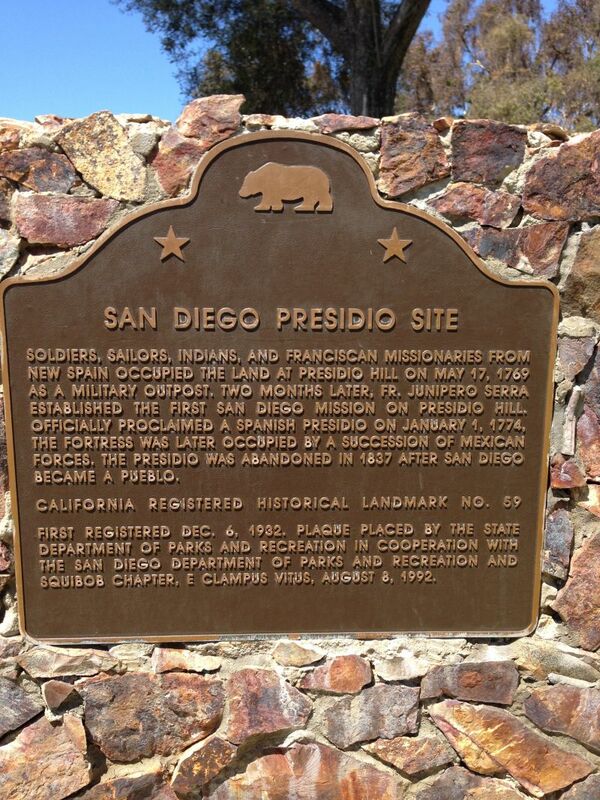 59 SAN DIEGO PRESIDIO SITE - Soldiers, sailors, Indians, and Franciscan missionaries from New Spain occupied the land at Presidio Hill on May 17, 1769 as a military outpost. Two months later, Fr. 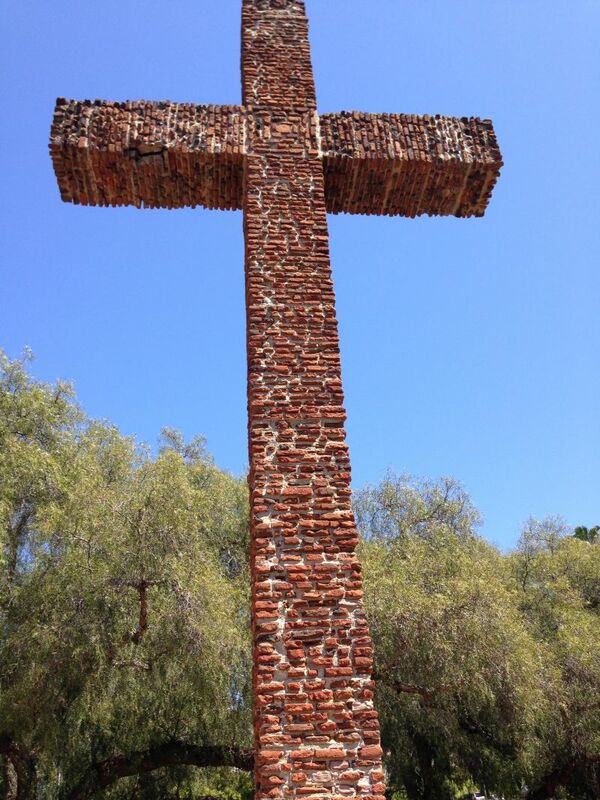 Junípero Serra established the first San Diego Mission on Presidio Hill. Officially proclaimed a Spanish Presidio on January 1, 1774, the fortress was later occupied by a succession of Mexican forces. 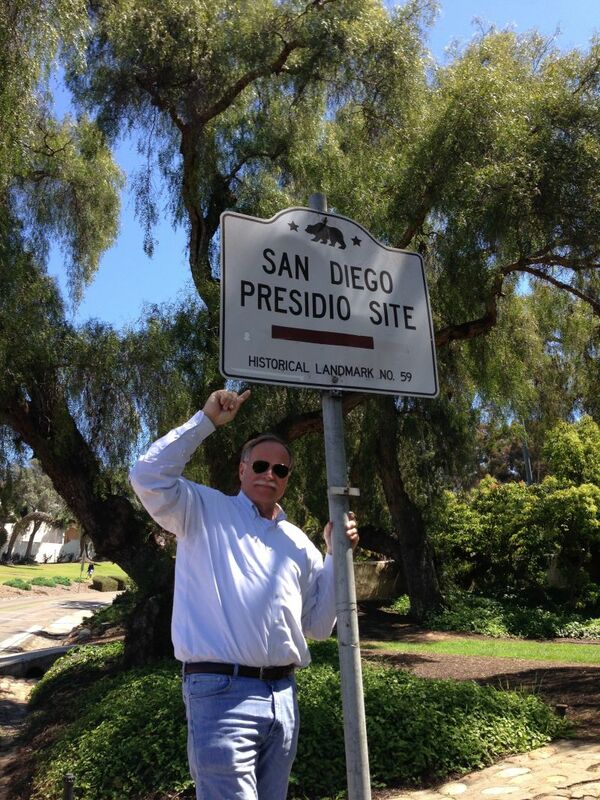 The Presidio was abandoned in 1837 after San Diego became a pueblo.